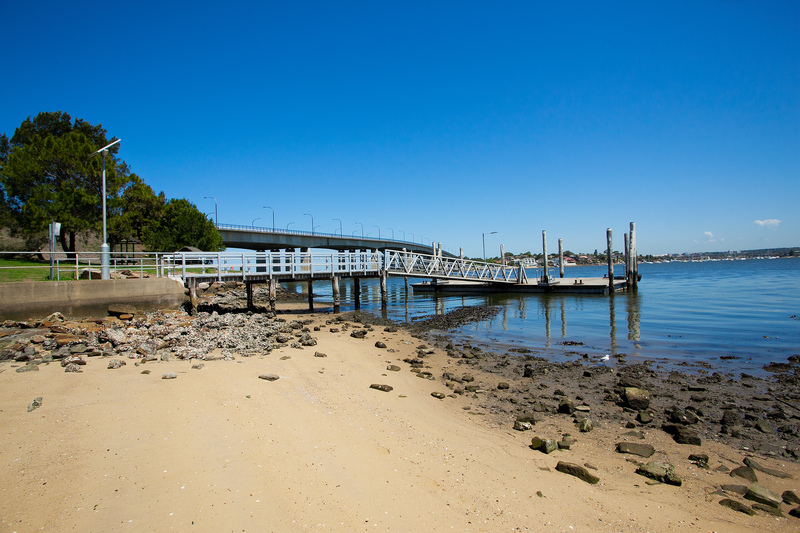 Sans Souci is an established residential area with several parklands and reserves and is bounded generally by Ramsgate Rd in the north, Botany Bay and the suburbs of Sandringham and Dolls Point in the east, the Georges River in the south and Rocky Point Rd in the west. Sans Souci is connected to Taren Point, in the Sutherland Shire, to the south, by the Captain Cook Bridge over the Georges River. Sans Souci, is a French term meaning ‘without care’, or in modern terms, ‘no worries’ and is mainly residential. Development of the area dates from the 1830s when the first land grants were made, although growth was slow until the 1850s and 1860s. A shopping strip is located on Rocky Point Road, near the intersection of Sandringham St, including the Sans Souci Shopping Village, fast food outlets and a post office. Another small group of shops is located at the intersection of Clareville Avenue and Russell Avenue, on the border with Dolls Point and Sandringham.It includes Sans Souci Library, retail outlets, take-away shops and a café. Sans Souci is serviced by regular buses to rockdale, Miranda and the city.